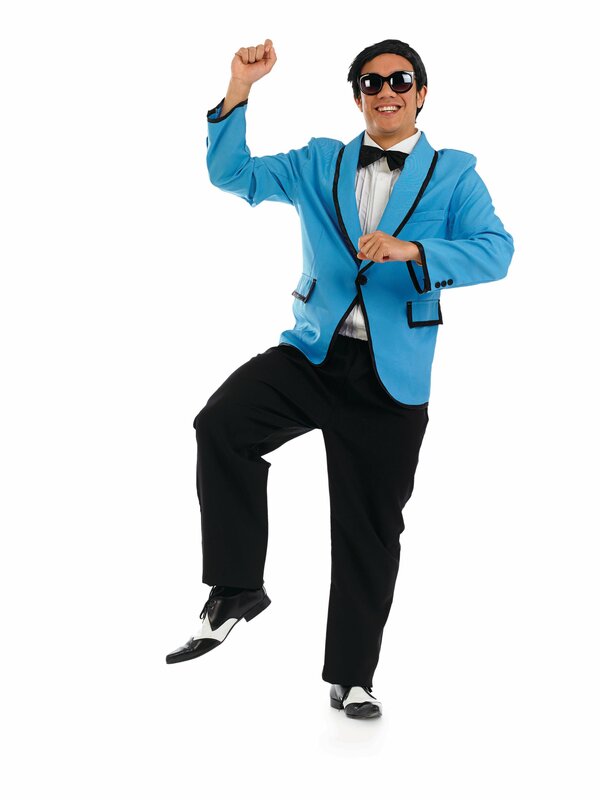 Psy Korean dance craze costume. Jacket with shirt and tie insert, trousers, wig and glasses. Medium height 175cm, chest 97-102cm, waist 81-86cm, inside leg 83cm. Large height 180cm, chest 107-112cm, waist 91-97cm, inside leg 84cm. Extra large height 185cm. chest 117-122cm, waist 102-107cm, inside leg 85cm.